Looking for a doula? Here's what you need to know. Welcome back to my World Doula Week series! 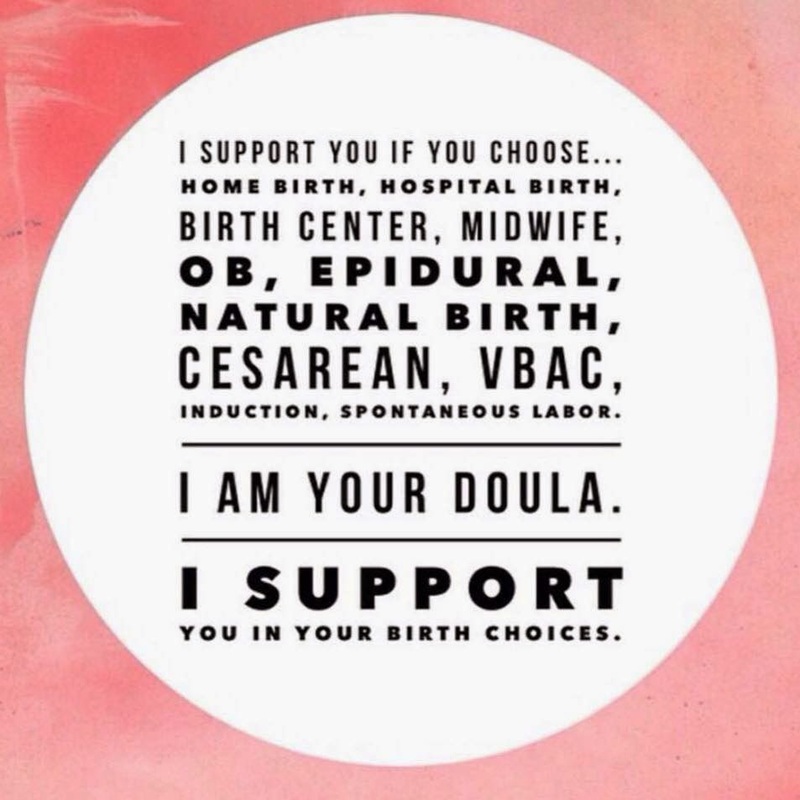 Today is my last post in celebration of doulas and the world they do! Hopefully what I've shared with you so far has brought some awareness to these amazing birth workers! Whether you're actively looking for a doula or are interested in using one in the future there are some things you should know first. I think the most important thing you should know is that you should hire a doula that suits you. The most important part of a good birthing team is having people around you who make you feel comfortable and safe. If you don't like your doula or you don't mesh well with her it will not make your experience enjoyable. Interview a range of different doulas, talk to them about your ideal birth, get to know them before you sign that contract! There are so many different types of women (and even men) that do doula work, you're bound to find someone who you get along with. Your doula will see you when you're most vulnerable, she will wipe away your blood, sweat, and tears, she will be there to comfort you and cheer you on. It's so important during your prenatal visits that you bond with your doula and that you like them. To find doulas in your area try searching DoulaMatch.Net! I also think it's important to know that your doula is there to provide you with judgement free support. Doulas are there to support you in YOUR birthing choices. They believe you deserve the birth experience you want no matter if it's natural, in a hospital, at home, induced, cesarean, or vbac and can help you navigate your options no matter what kind of birth experience or outcome. Doulas are there to cheer you on, not to sway you or judge you. Having a doula at your birth means having someone there for you who is going to listen. Tell your doula your thoughts, fears, and wishes when it comes to your birth experience. Confide in your doula so she can better serve you! Last but not least, know that doulas are worth it! The day you bring a child into the world is a day you will remember forever. We cannot take back our birthing experiences or re-do them. We remember them forever and tell our stories long after the day our children are born. A doula can help make your birth experience a joyful and memorable experience, she benefits your partner and the birthing team, and she helps remove stress from you. Doulas are there to help guide you and make birth as easy as possible, who wouldn't want that? Know that when you hire a doula, you're hiring someone who cares. Doulas spend hours on end on their feet, away from their families. They miss holidays and birthday parties. They sleep in waiting rooms and on hospital couches. They stay on call for days on end and answer all of your questions and concerns. They get to know you and drop everything to be at your birth, no matter the time, no matter the day. Your doula cares about you and your birth. "The most feminine of all women’s rights: to choose where and with whom to birth. If we lose that right, what right will we ever be able to protect?" Still have a question about doulas? Leave them in the comments! For more information on my doula services or to get updates, positive birth affirmations, and more like my Facebook page!